CHICAGO (October 26, 2017) – Today, the campaign of progressive Democrat Fritz Kaegi, an Oak Park resident seeking the role of Cook County Assessor in the March primary, received a major boost as Cook County Clerk David Orr endorsed the campaign. Against the backdrop of the Trump Tower, a property recently identified as receiving a 70 percent break on its property taxes, Clerk Orr began his remarks by speaking to the current state of politics in Cook County, “For decades, I have committed myself to reform and working within the system to bring about sustainable change and equitable treatment for the residents of Cook County. Unfortunately, the assessment practices under Joe Berrios have led many people to lose confidence in the way assessments are determined in Cook County, and furthermore, many residents are paying higher property taxes than they should and too often the well to do are not paying their fair share,” Clerk Orr added. “Fritz Kaegi is a very talented person and a successful businessman with a proven track record that demonstrates his qualifications for the job and his commitment to ethics, accountability and transparency. I know that he can correct the failures of the current Assessor Joe Berrios,” he later added. 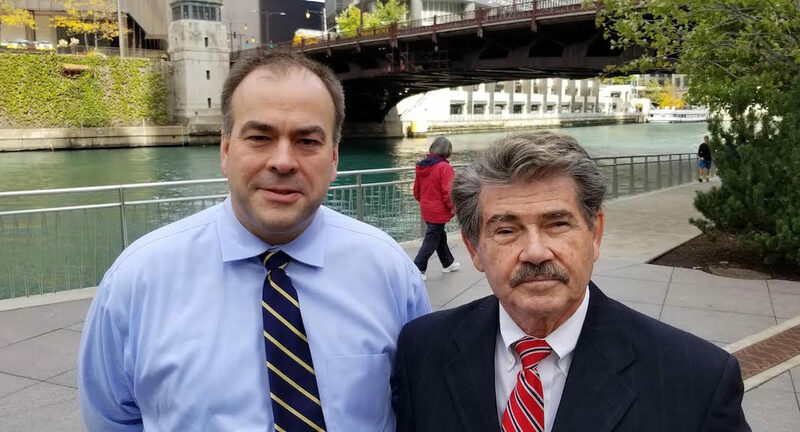 Kaegi, a former finance professional with companies like Columbia Wanger Asset Management, Morningstar, and Brunswick UBS, thanked Clerk Orr for his vote of confidence, adding, “I am deeply honored and humbled to receive Clerk Orr’s endorsement today. For decades, he has represented what can be accomplished in government with progressive, transparent, honest, and courageous leadership. Today, our campaign to restore fairness, integrity and honesty to the Assessor’s office takes a big leap forward.